There are many monuments and artifacts around the world that garner amazement and intrigue, but perhaps one of the most puzzling is the Easter Island heads, also called Moai. The Moai are statues that stand on the Chilean Polynesian Easter Island. Below we will take a look at the history of these figures and what they mean to the culture of Easter Island and learn some Easter Island heads facts. Learning about Easter Island history is fascinating. The term Moai refers to the characteristic “heads” found on Easter Island. There is little information available on just why they are referred to as Moai but this is the name that native Polynesian’s use to refer to the statues. It is believed that there are approximately 900 of these statues on Easter Island. These statues actually represent human forms and generally feature the statue’s body down to the thighs. Due to the fact that the head of each statue comprises 3/5 of the entire statue, the Moai are commonly referred to as the Easter Island heads. When discussing the Moai, the term Rapa Nui will commonly be referenced. Rapa Nui is the Polynesian term used to refer to Easter Island. “Rapa Nui” translates to “Big Rapa” which refers to topographic similarities between Easter Island and the island of Rapa in the Bass Islands. Easter Island is located in the Southeastern Pacific Ocean within the Polynesian Triangle. Annexed in 1888, Easter Island is a territory of Chile. The United Nations Educational, Scientific and Cultural Organization has deemed Easter Island a World Heritage Site. Over recent times Rapa Nui’s culture and environment has been overexploited and many people refer to it as the perfect example of the dangers of such. Easter Island is stated to be the most remote inhabited island in the world; however, the afore-mentioned exploitation is beginning to take its toll. While locals refer to the island as Rapa Nui, most others refer to it as Easter Island. The name Easter Island was given to the island when Dutch explorer Jacob Roggeveen found the island on Easter Sunday in 1722 during his search for David’s Island. Easter Island is approximately 15.3 miles long by 7.6 miles wide and has a triangular shape. The maximum altitude of the island is 1,663 feet tall and there are no permanent streams or rivers. There are three volcanoes on Easter Island: Tervaka, Poike and Rano Kau. All three of these volcanoes are extinct. At one point in history, Poike formed its own natural island; however, a massive eruption from Terevaka caused a joining of the two masses. The most recent eruption in the Sala y Gómez Ridge volcanoes took place a little over 100,000 years ago. Easter Island is believed to have been settled between 700 to 1200 CE, around the same time that settlers first arrived in Hawaii. The first Easter Island settlement is said to have been at Anakena, the landing point on the island that provides the most protection from rough maritime weather. Recent radiocarbon dating seems to contradict this theory however with multiple other Easter Island locations outdating Anakena by as much as hundreds of years. The first people to settle Easter Island are believed to have been the Polynesians from the Marquesas and Gambier Islands. The language with the most similarity to that used on Easter Island is Mangarevan, the official language of Mangareva in the Gambier Islands, the official language of Mangareva in the Gambier Islands. It is believed that the initial community structure on the island focused around a high chief or ariki, who controlled nine smaller clans and the chiefs who led them. As legend has it, the grand chief was always the eldest descendent through first-born lines of the founder of the island – Hotu Matu’a. Under the leadership of the ariki the Moai were constructed. In the belief system of those living on Easter Island, the dead and living were dependent upon each other. It was the dead that provided the living with all that they needed to live and in return, the living offered the dead with offerings that gave them a better place in the spirit world. Moai are generally situated along the coastlines of the island since this is where the settlements of Easter Island stood. These Moai were always built with their backs against the water (where the spirit world was located) and their faces turned towards the tribes which they oversaw. The well structured society of Easter Island was thriving until the point that the ecosystem changed drastically. It is unsure as to what really led to this decline in the civilization but some hypothesize that deforestation played a significant role. On an island where the ecosystem was already very delicately balanced, the shift in ecology of the island led to a severe drop in the island’s population. When the European settlers arrived on Easter Island in 1722, the population had dropped to between 2,000 to 3,000 from the 15,000 it was 100 years earlier. This population drop is believed to have resulted directly from deforestation which resulted in less wood to build fishing vessels, which resulted in a lower food supply. As things began to look grim for the Easter Island population, warriors or matatoa, took over leadership of society and eliminated the Ancestor cult. The birdman cult would now move in. With this new theory, inhabitants of the island believed that while the dead still provided for the living, and contact between the living and dead was done through competition rather than through large statues or Moai. Men on the island would compete for the position of the birdman. As the old societal structure began to fall, internal struggles tore inhabitants of the island in two and as a result of warring many of the Moai were knocked face down. In 1825, the HMS Blossom arrived from Britain to Easter Island and saw no Moai left standing. As time progressed the natives of Easter Island became more resistant to visitors coming to the island. Ironically just 35 years later the real threat would come. As if internal warfare had not been enough to devastate Easter Island, in the 1860’s Peruvian slave raiders struck. 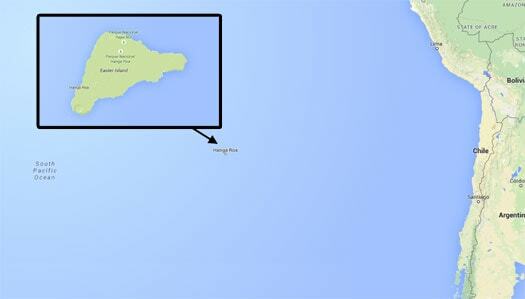 Abducting more than 1,500 men and women – at that time approximately half of the island’s population, the raiders took indiscriminately. The slave raids took enough of a toll on the island that eventually the Peruvians were forced to return some of those taken from the island. Unhappy about having to return their ‘bounty’, the Peruvians returned Easter Island inhabitants along with the smallpox virus. The epidemic that would follow decimated the Easter Island population. In the years following whalers would also introduce tuberculosis to the island and further reduce the island’s population. As natives began to die from these diseases, missionaries and ranchers would move in and buy up the land of the deceased islanders. As the island was slowly bought up and settled both the overall population and the cultural background of the island were lost. French mariner, Jean-Baptiste Dutrou-Bornier, bought most of the land with the exception of the missionary settlements in Hanga Roa to use it for farming. As conflict began to take place between natives, Dutrou-Bornier and the missionaries, the population of the island plummeted to just 111 in 1871. Somehow over time the islanders built up their numbers, however, it was too late to preserve much of the culture’s heritage. The Moai stand on Easter Island not only marking the tribes that once were, but also reminding the native people of their culturally rich past. The 887 Moai statues also serve to show just how amazing the founding people of Easter Island really were. The incredible statues range in size up to 33 feet high and weigh in at as much as 86 tons each – just how were these mammoth statues produced and transported? The Moai are each carved from a single rock and have characteristic flat plain features. This unique looking art style is commonly found in Polynesian art. The most intriguing characteristic of the Moai is the incredible size of their heads, a tribute to the importance of the chief or head of the tribe. The Moai are arranged in various poses; however, the bodies themselves seem to become insignificant in comparison to the large heads. Only one known Moai features legs, a kneeling statue. The significant size of the Moai’s heads lead many people to simply refer to them as Easter Island heads but there is also another reason for this moniker. Before the 1950’s, many of these significant statues were lying flat and those that were standing were standing on Rano Raraku slopes buried up to their shoulders. This burial made the statues appear as though they really were nothing but heads but later excavation revealed the smaller bodies. Each of the Moai are different in some aspect but the average height of one statue is around 13 feet and the average width is 5.25 feet. What Were Moai Made From? Of the 887 Moai that have been recovered to date, 834 are made from compressed volcanic ash also known as tuff. After being carved from tuff, each statue would be rubbed with pumice stone to smooth out rough edges. 13 of the remaining Moai are made from basalt, 17 are made from red scoria and 22 are made from trachyte. For some people, one of the most disturbing characteristics of the Moai are the eyes. When recovered, many of the Moai had small coral rock fragments at the discovery site. The eyes of these statues were deep and appeared to be designed to hold coral which gave them the appearance of having eyeballs. The pupils would have been constructed from red scoria or black obsidian. Not all of the Moai had eye sockets however, and researchers believe that these “special” statues were designed to watch over ceremonial sites and the ahu. The term ahu refers to stone platforms that were constructed over the island. A total of 313 ahu were constructed, 125 of these at one time held Moai. Some Moai also featured additional markings and features that made them stand apart from the rest. Headdresses or pukao (cylinder shaped “hats”) are one of these features. These headdresses and pukao were carved from red scoria. Other Moai also featured distinguishing motifs that are generally only visible on the non-tuff statues. Tuff is easily eroded and over time statues made from it have lost some of their defining features. Those Moai not made from tuff however, show evidence of unique designs on the backs and bottoms of the figures. In 1914 an expedition found a link between the designs depicted on the Moai and the importance of tattoo to the island’s culture. Some of the Moai statues were also painted, although this was not a common appearance. One of those that were painted and was decorated with white and maroon paint was Hoa Hakananai’a. Hoa Hakananai’a was taken from Easter Island at the end of 1868 by the HMS Topaze, it is now housed in the British Museum in London. It is known that the native people of Easter Island carved the Maoi, but just who were these people? There are two theories on what type of people carved the Moai. One theory believes that a class of carvers created these huge statues, carvers that were members of craft guilds. Another theory states that members of each clan were responsible for carving out the Moai and that the main rock quarry was sectioned off for each of the clans. It is said that as many as 15 people would work on a single Moai at one time, transforming a single thick slab of rock in to a work of art. The group would begin by selecting a section of rock and using picks to free it from the ground. Following that work would begin on carving the general shape of the statue. Once the figure began to take shape a single master carver would add in the finer details with the help of his assistants. The majority of the carving would have been completed while the stone lay flat. Final touches were usually added once the stone had been lifted upright through the use of ropes and levers. The Moai were created from Rano Raraku quarry and for a long time researchers were puzzled as to how the exceptionally heavy statues were moved to the shorelines. Many believe that the once plentiful trees of the island were used to roll the statues to their display locations. As traditional stories tell however, those islanders with great power simply commanded the statues to walk to their location and they did so. Numerous stories abound as to who commanded the statues to walk and how they did so. The most logical explanation for historians however, is that the islanders used log rollers to roll the statues with the aid of ropes and manpower. Possible proof for this theory can be found in post holes that have been found in the areas between the quarry and the final resting place of the statues. It is believed that posts would have been placed in these holes and they would have been used to help maneuver the statues up steep inclines and uneven ground. How Did The Moai Fall? By 1868 not a single Moai – with the exception of those that were buried up to their heads in the sides of Rano Raraku – was left standing. Again numerous stories exist as to how the Moai were toppled. One ancient tale tells of a clan that pushed down one of the Moai at night but many other tales point to earthquake activity. Being located on volcanic ground it is very possible that the island frequently experienced earth shuddering quakes which could easily have toppled the massive statues. Further evidence to support this random toppling of the statues can be found in how they lay after falling. Rather than all laying uniformly, some of the statues lay on their front, others on their back and some were broken during the fall leaving decapitated heads. Of all of the nearly 900 Moai that fell, approximately 50 have been re-erected and can now be viewed in museums or back on the ahus where they originally stood. With numerous Moai statues on display around the world, researchers at some point had to move some of the statues from Easter Island. While moving these incredibly heavy statues was a feat for islanders, technology made it much easier to transport these ancient relics. In total, approximately 11 of the Moai have been taken from the island, 6 of these 11 were carved from basalt. It was not only Moai taken from Easter Island that were resurrected, after the TADANO company volunteered a crane to Easter Island, a number of the statues were resurrected. By May of 1995, islanders had utilized the crane to stand 15 of the Moai statues which had fallen in Tongariki ahu. The statues were all placed back on the ahu and can be viewed now as they once were by the original islanders. The Ahu Tongariki restoration project was undertaken by Chilean archaeologist Claudio Cristino. Why The Moai Are So important? The Moai are more than a reminder of the past culture of the Easter Islanders, they are also a contribution to the world of art. In one single stone statue, the Moai tell a story of history, represent deified ancestors and bring beauty to a landscape that has suffered a multitude of change. 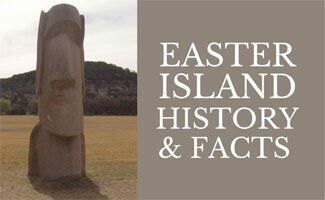 There is a cause set out to learn more about the Moai called the Easter Island Statue Project. Feel free to check it out and learn more and even donate if you’d like. What do you still want to learn about Easter Island?